They’re in your space, in your face, in your nightmares — but screaming aside, what’s really going on in the heads of Marine Corps drill instructors? Drill instructor duty is no joke. Whatever recruits do, DIs do. And the Marines on the three-year-long special duty assignment set the example for what it takes to become part of their Corps. That means yelling the loudest, moving the fastest and having the most squared away uniforms. 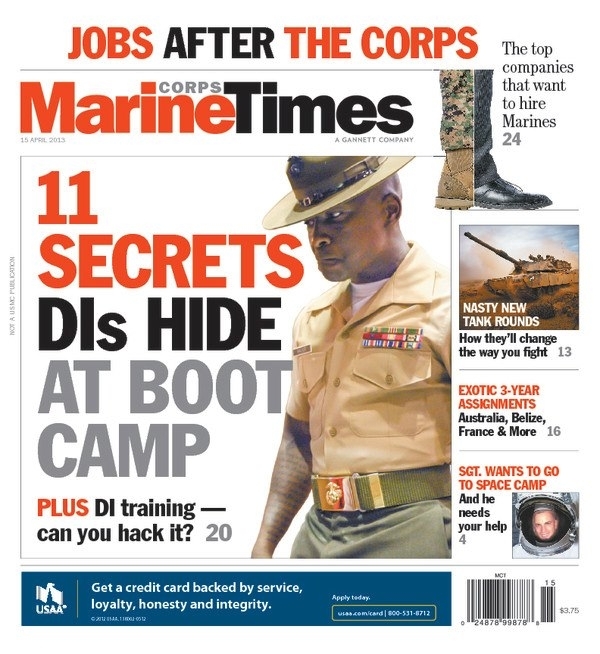 Marine Corps Times was afforded access to drill instructors aboard Marine Corps Recruit Depot Parris Island, S.C., recently to find out some of the secrets behind the duty. Drill instructors there said it’s physically and mentally draining — but also incredibly rewarding. Under the campaign covers are noncommissioned officers and staff NCOs who left their own military occupational specialties in order to make Marines. And they have their own challenges to overcome once they get there. They spend a lot of time away from their families in order to train their replacements, and that can be challenging. Sgt. Richard Kennedy a drill instructor at Marine Corps Recruit Depot San Diego, Calif., said he and his family live across the street from the base, but they treat each new training cycle as a deployment. On the nights he does get to go home, his wife and four young children are sometimes already asleep and they won’t even know he’s there. He wakes up and leaves the house again before they’re even awake. That can be difficult on everyone, he said. Pick up this week’s issue of Marine Corps Times for more details on what it’s like to be a drill instructor or read the story online here. It includes an interview with Maj. Chad Craven, the director of DI school, on what it’s like to become a drill instructor. Also in this issue: A list of companies looking to hire transitioning Marines; New exchange opportunities that could take you to new parts of the world; And the deadly new tank rounds the Corps wants to procure.